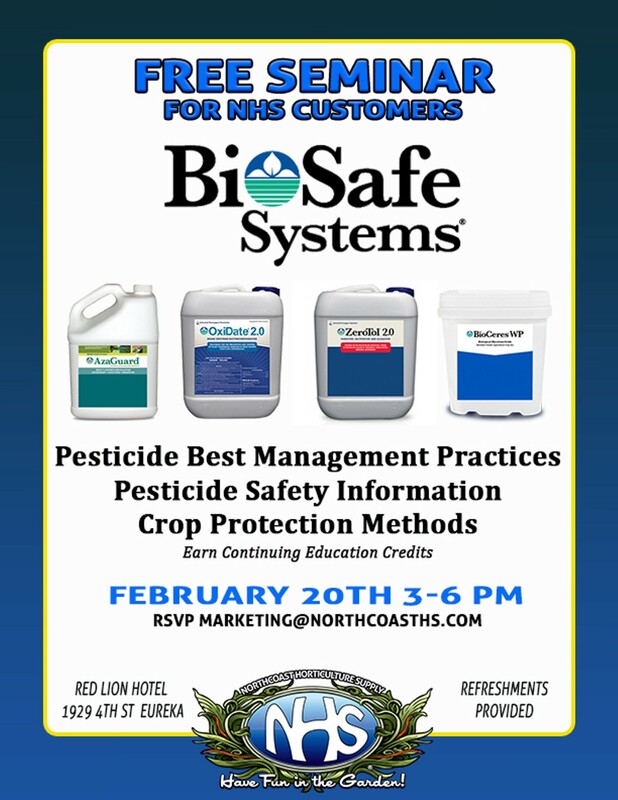 Learn about BioSafe products for sanitation, water treatment and crop protection. 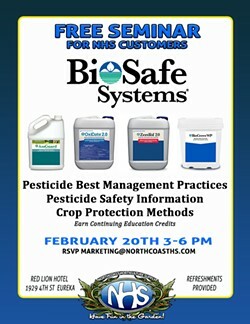 Seminar covers crop protection methods, pesticide best management practices and crop protection methods. Earn Continuing Education Units from DPR for pesticide safety and worker protection standards. Refreshments provided.